The heavy defeat for Theresa May’s government on its Brexit plan is a further stumbling block on the path to the UK’s exit from the EU. Given the scale of the defeat, by a majority of 230, it’s unlikely that the prime minister will be able ask parliament to vote on her unrevised plan again – despite suggesting that this was her favoured option prior to the vote on January 15. The UK government now has three working days to prepare a “plan B” and present it to parliament. MPs would then have the chance to scrutinise this plan. As the UK’s withdrawal date of March 29 is written into UK law, time is of the essence. There are six possible options for the prime minister at this stage. Since postponing the first vote on the withdrawal agreement in December, May has sought reassurances from the heads of the other 27 member states about the UK’s future relationship with the bloc and the nature of the so-called “Irish backstop” to prevent a hard border on the island of Ireland. While these discussions could continue, the timescale makes this unlikely. If the assurances the prime minister sought from Brussels in the four weeks since December were not sufficient to get the deal through parliament, it’s unlikely she would be able to make significant further progress within three days that could revive the deal. This is not least because of the scale of the defeat suffered, with 118 Conservative MPs rebelling against their party. Many EU member states have insisted the text of the agreement cannot be changed at this stage. Still, new negotiations, based upon new red lines, could be instigated. These would enable the government to seek an alternative deal based, for example, upon a Norway plus or a Canada model. However, the impending March 29 deadline suggests that this could only be done in conjunction with extending Article 50. Rather than focus on the nature of a new type of deal, the prime minister may ask the EU for more time to restart negotiations, extending the two-year article 50 deadline which governs the UK’s withdrawal process. This would need the approval of other member states and MPs, but it could potentially avoid the hard deadline of March 29. Even if such an extension were to be agreed, it’s unclear what changes to the existing deal would be acceptable to the EU27, who have consistently refused to discuss options to alter the text. Any further negotiations would also have an added complication by overlapping with the next European parliamentary elections, scheduled for May. To overcome the deadlock in parliament, May has the option of suggesting another referendum or public vote – albeit this is something she has previously ruled out. Here, multiple options exist. 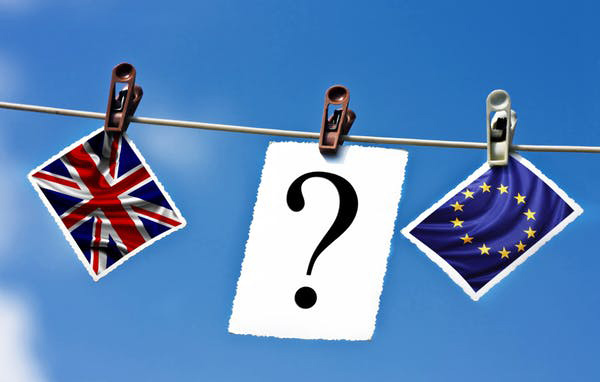 One could be a referendum on the basis of the current withdrawal agreement – asking the public a simply yes/no “do you support this deal?” If accepted, this may give legitimacy to a deal that allows the UK to leave the EU on March 29. However, if May’s deal is rejected in a public vote as well as in parliament, it would be very difficult to resurrect it in any form. Others, including the People’s Vote campaign, have proposed a public vote which includes the option of remaining in the EU – though Brexiteers would argue this is an attempt to overturn the result of the 2016 referendum. Another way of gauging the public’s opinion without being seen to overturn the initial referendum result would be to call a general election. Political parties would be able to present competing Brexit proposals and the public could choose between these. It would also give the Conservatives a chance to change the arithmetic within the House of Commons, theoretically making it easier ]assuming they won an election] for the new parliament to pass May’s deal at a second attempt. An election in itself would not solve the issues generated by parliament rejecting the deal. If the next parliament didn’t immediately seek to extend article 50, it would still face the same March 29 deadline. Under British law there must be a minimum of 25 working days between the dissolution of parliament and the general election. In December 2019, the European Court of Justice ruled that Britain could unilaterally revoke article 50, without affecting its membership of the union, providing there was a genuine intention to remain a member of the EU. This could not simply be used as an extension mechanism and would commit the UK to remaining part of the EU. However, this would be unpopular with MPs who have promised to respect the result of the referendum and is unlikely to gain a majority of support in parliament. If May loses the January 15 vote and none of the above options materialise, the UK will leave the EU at on March 29 without a deal, and with no transition period. This date can only be altered if parliament explicitly votes to do so. Amid all the uncertainty, one thing is clear: each scenario presents its own questions and problems. In many ways these are the same questions that have been left unanswered since the 2016 referendum. For example, how can the UK talk of following the homogeneous “will of the people” given the different options discussed during the referendum campaign and the variety and complexity of issues that influenced voters’ decisions? Far from resolving the issue of Britain’s membership of the EU, the questions raised by the referendum result must be explored and answered before the UK can agree upon a new relationship with the EU. - Christopher Kirkland is a Lecturer in Politics at York St John University.This article was originally published on TheConversation. 09 Jan: Carla Seely Column: Hoping For A Century? Column: Why Are OTs Denied Representation?